Right now, many town and village squares and bars are kitted out with large public screens for fans to enjoy the closing matches of the Euro ’16 Championship. With all eyes focused on this calendar event, it seems an ideal time to highlight other major sporting events that Malta is hosting and that draw competitors from all around to world. If you’re a sports’ fan, now might be a good time to start planning your trip out here. You can enjoy all of the usual tourist destinations and attend the sporting events of your choice. You can even start betting on 888 sports to make money off of your passion for the games. With the exception of the Olympics, no event is bigger than the World Cup. The next installment is going to be held in Russia by 2018. This early, the countries aspiring to be part of the action are already preparing for the qualifiers. There will be two such matches in Malta for 2016. The country is part of group F in the qualifying round where there are lumped together with England, Slovenia, Lithuania, Slovakia, and Scotland. Its match against Scotland will happen on September 4 at the Ta’ Qali National Stadium. It will then go against Slovenia on November 11 at the same venue. The definition of sports is always expanding and Malta is one of those that are pushing the limits. It welcomes all types of competition to it shores including the growing category of eSports. A 3-day festival will be held here from July 29 to 31 at the Mediterranean Conference Center in Valletta. Local and international players will participate in the events. There will also be on-stage entertainment to keep the live audience pumped for the games. The venue will feature dedicated areas for PC and console gaming. The stage will be filled with interesting games and activities. 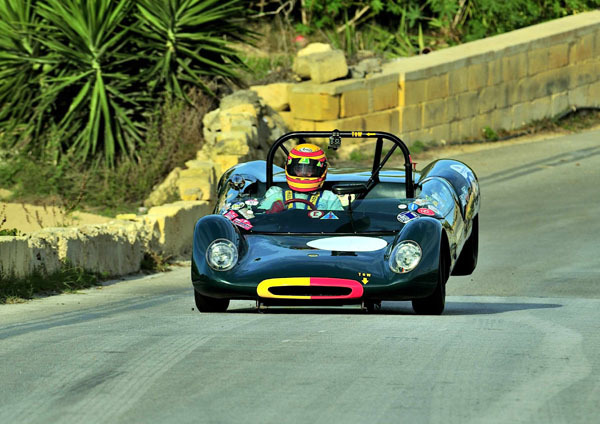 If you are interested in car racing, then the Grand Prix in Mdina is not to be missed. It isn’t just a regular race. This event feature classic cars that are tuned up to perform at their highest level. It is quite apt for the city to host this kind of event since the old capital is famous for its historical sites with their inspiring architecture. They create a good backdrop to the competition which features well-love models from the past. This will be held from October 8 to 9 and go around the idyllic countryside. Guided tours of Mdina, Valletta, and the Three Cities will be offered to guests prior to the race. For those who love the waters, then the Rolex Middle Sea Race is race should be very appealing. It is a yacht race that goes across the beautiful Mediterranean Sea. It is a course that has captured the hearts of many sailors. The competitors will begin on the coast of Valletta at the Grand Harbour. They will then go around the 606-mile route around the sea until they come back to the same place after a grueling challenge. The weather can be unpredictable during late October. Only the best crews finish with a good time in front of the cheering crowds. World Cup Qualifier 2010, Zlatan Ibrahimović (Swedish Football Association), Shawn Bajada & John Hutchinson (Malta Football Association. Courtesy of Uefa World Cup Photos. Disclosure: This article is a sponsored post. There are no affiliate link but Maltainsideout has received payment for placing this post. Previous Post What’s the score on Malta’s casinos these days?